I wasn’t able to check in until four o’clock so I had a couple of hours to kill. I stored my rucksack in one of the lockers in the hostel and headed out to find the falls. It was about a twenty minute walk along the river, until the falls came into clear view. Literally every house on the long road that faced the river was a B&B! And the houses that weren’t B&Bs appeared to be empty. I didn’t want to expect too much from Niagara Falls, otherwise I might have been disappointed. I have a feeling you expect me to say, however, once my eyes saw the fourth, fifth, twenty third, whatever wonder of the world the falls are classed as, my heart skipped a beat at the eye boggling sight of the beautiful and humongous waterfalls! However, being the cynical Englishman that I am, this wasn’t what I felt at all…it wasn’t helped by such a miserable looking day. 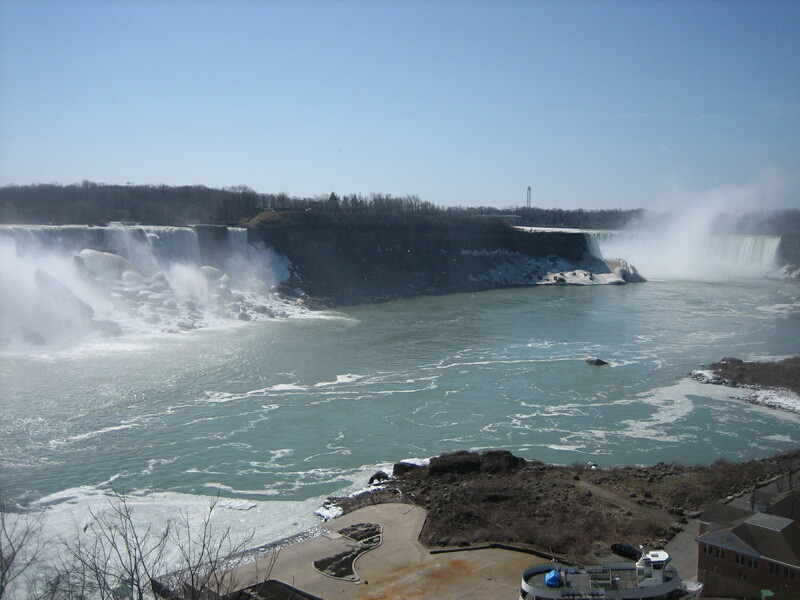 It was still early April so there was no greenery or foliage around the falls as there is during the summer. 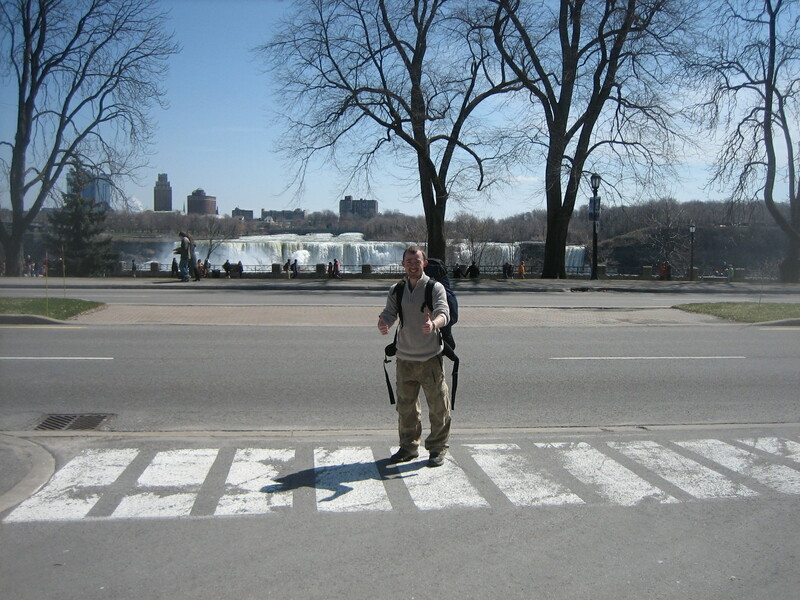 I couldn’t help but think Niagara Falls had been just a wee bit overrated. 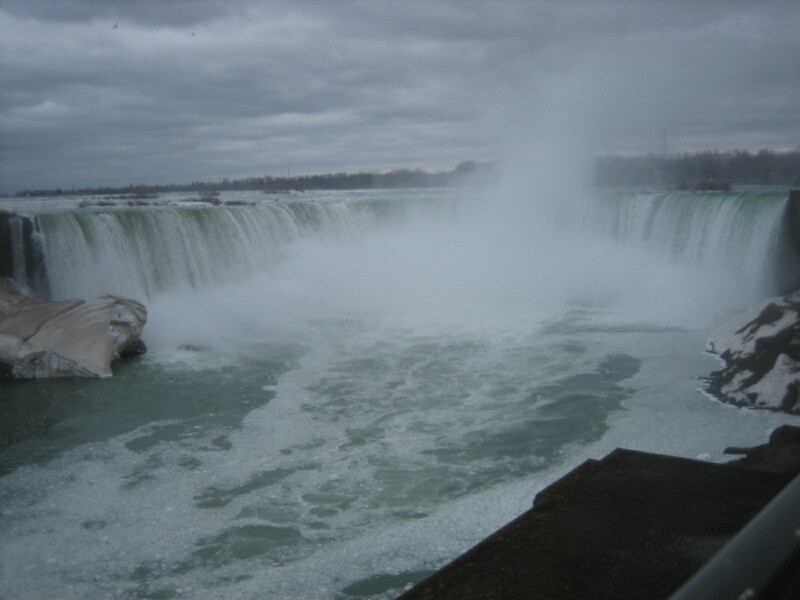 I was looking forward to taking a ride on one of the Maid of the Mist boats to fully experience the power of the falls. However, there was so much ice in the water that the funky little boats weren’t even running! Which was another factor that probably gave me a negative perspective of the falls. I do have to admit, once I got within a couple of feet of the biggest waterfall I couldn’t help but be amazed at the mighty current and raw power of the water. 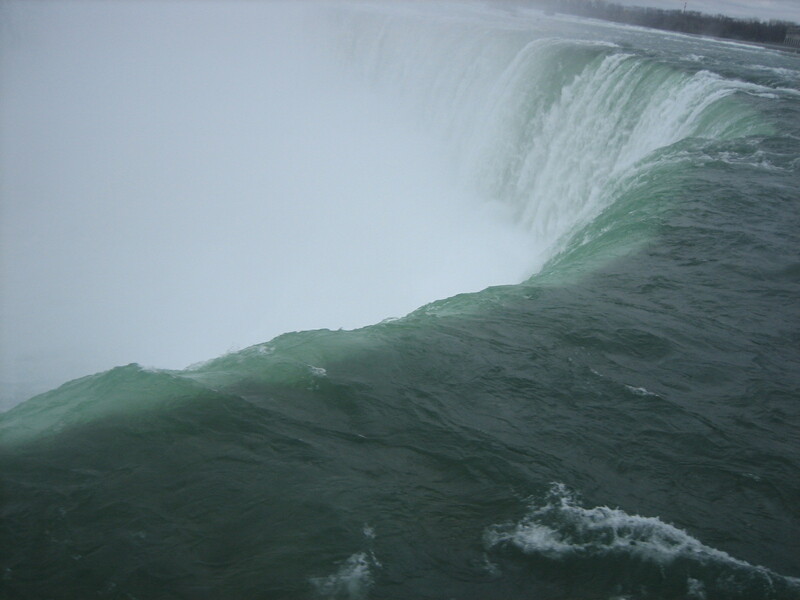 It raced towards the drop at a ferocious pace before hurtling down the falls with such velocity it was startling! It really emphasised the true power of mother nature. So I took about half a dozen photos at slightly different angles. I couldn’t help but wish I was here in the summer to really appreciate the fall’s beauty. I never expected the town of Niagara Falls to remind me of a cleaner version of Skegness. The streets were filled with amusements, souvenir stores, haunted houses and tacky attractions to lure the families. After I settled into my dorm room I headed back out for a walk around the surrounding area. It really was like a ghost town…the odd muffled sound of a car engine in the distance, the scuffle of old paper being blown across the roads by the chilly winds and a group of middle aged drunks stumbling their way down the main street searching for the next can of lager. This must have been the inspiration for The Specials when they wrote Ghost Town. The streets were so desolate that I didn’t feel safe. I thought I would have felt less tense once in one of the convenience stores, but if anything I felt more on edge. None of the stores I went into to look for international stamps had any customers. In one of them the store clerk could be seen standing behind the counter, staring motionless at some random object in front of them. Everywhere else was either closed down, abandoned or in poor condition. The majority of the buildings that were occupied by businesses were closed. Some of the shop workers seemed flabbergasted at the notion of an international stamp. I thought I would have been lynched if I asked another person if they had any. I think the word international to some of these people meant Quebec. The next morning I awoke to an unexpectedly warm and sunny day. Pancakes and scrambled egg was cooking in the hostel kitchen, creating rather nice smells as I tucked into my own breakfast. 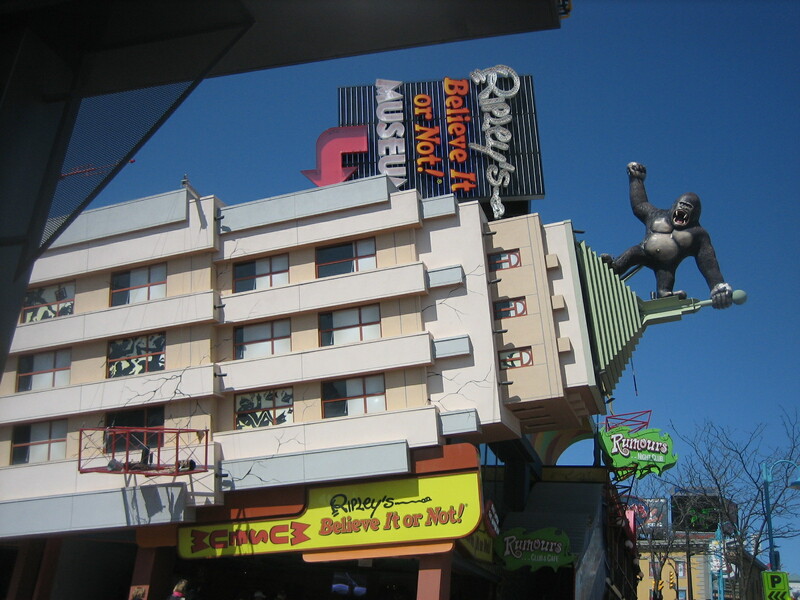 The falls looked more impressive in the sunshine, but the downtown area still looked tacky with it’s over commercialisation. Most of the gift shops had postcards showing places such as California, San Francisco and New York. Why would someone send a postcard of California from Niagara Falls? How pointless would that be?! 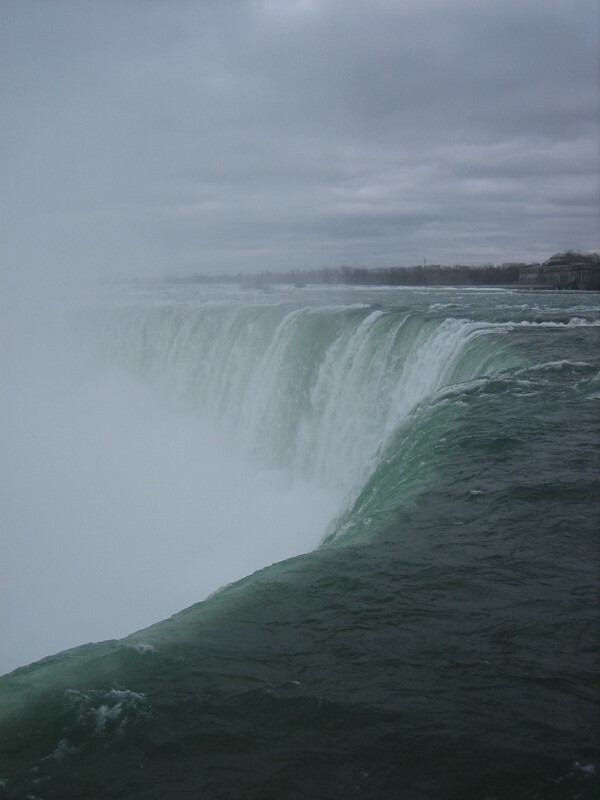 Even though Niagara Falls on the Canadian side is a tacky town which might not be the case on the American side, I would still choose to see the falls from Canada as the views were much better and there was more to see. I may not have been as blown away by this natural wonder as most people are, but I did go out of season and bad weather can always dampen your spirits.